Comedians create wildly hilarious characters and perform in a talk show format. Hosted by Brian Crall. Featuring: Jeff Sloniker, Curtis Rainsberry, Jack Brown, Michelle Petro, Corky McDonnell, Ruby Setnik, and Saba Mohtasham. Want a deal? 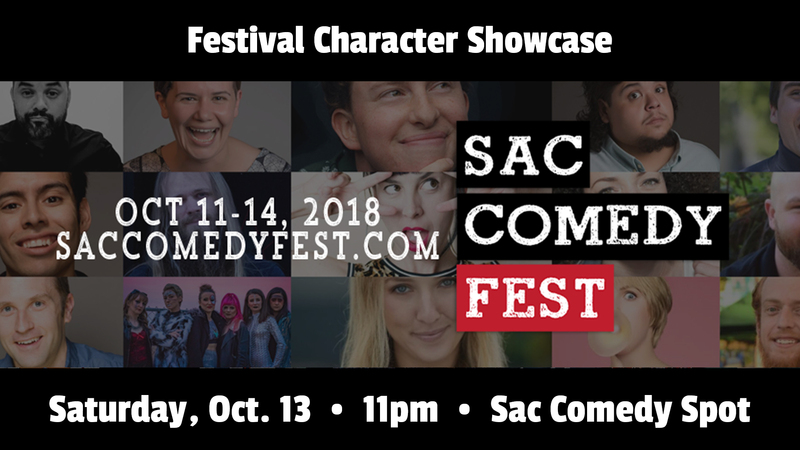 Get a Saturday night pass and see all shows on the Saturday, October 13, lineup for just $25. Want an even BETTER deal? See every show on the entire schedule, Thursday through Sunday, with an all-access weekend pass for just $45! Online sales for this show close at 5pm on the day of the event. Tickets may still be available at the door when the box office opens, 10 minutes prior to show time.